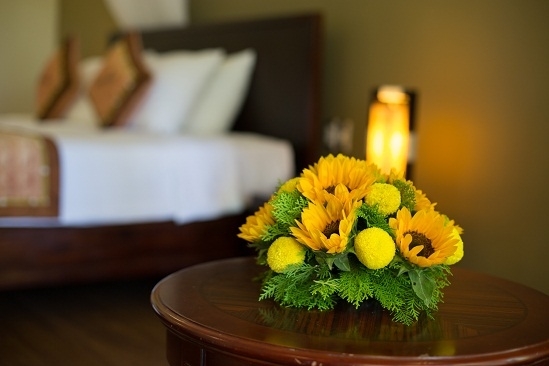 The most excellent value for your money! 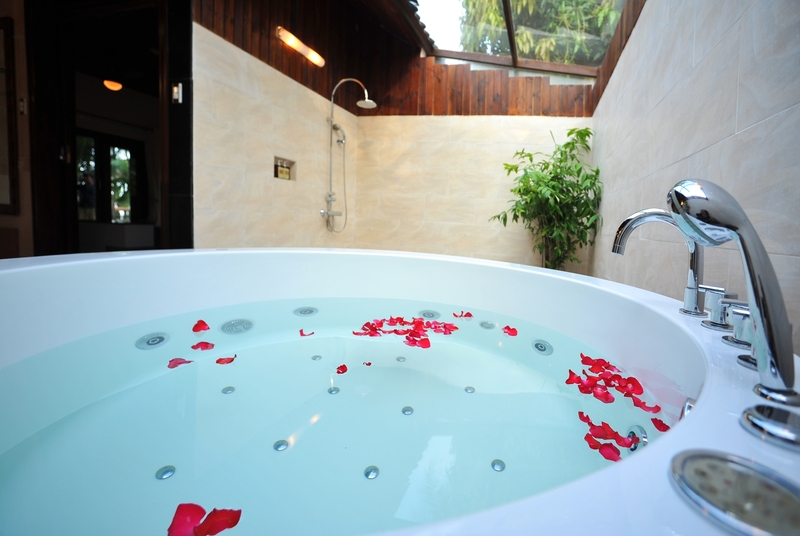 Garden deluxe was built and designed in a luxurious style, delicate but extremely warm. 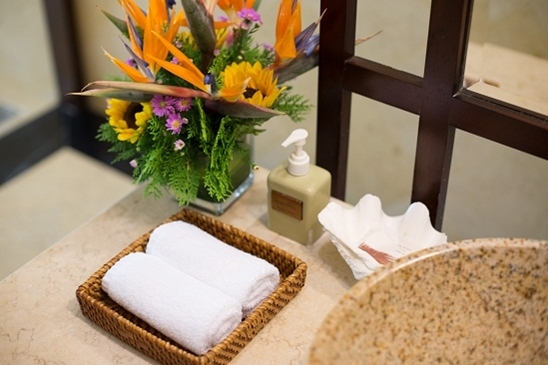 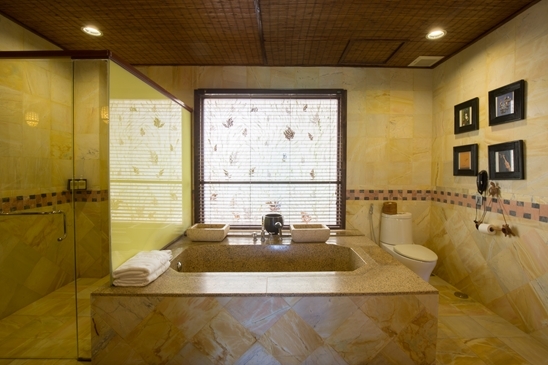 Each room features an en-suite bathroom with exquisite complimentary amenities. 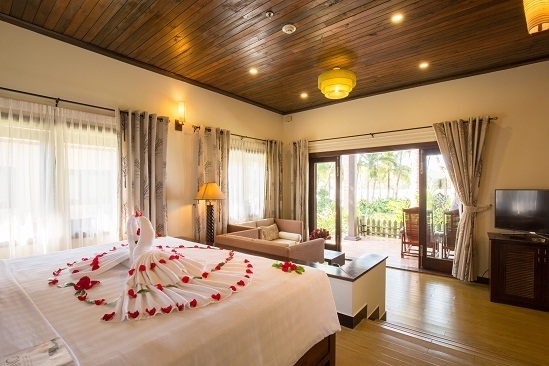 Opening onto a private terrace and connecting to the beautifully manicured resort gardens, the Deluxe Garden rooms may set a daily relaxing mood for your family. With an area of 44m2, Garden Deluxe is a great choice for those who love gentle and peaceful places. 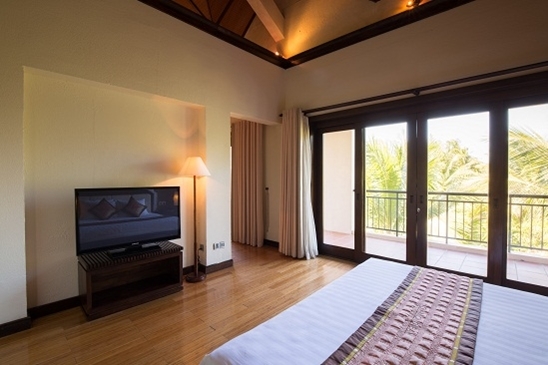 Specifically positioned to make full use of the afternoon sun, the resort’s Garden Superior rooms offer an ideal place to relax while soaking in the tropical garden surrounds. 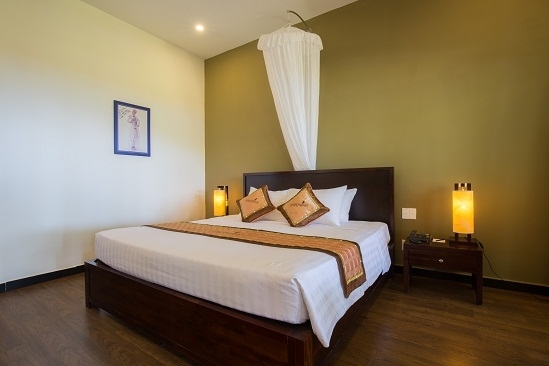 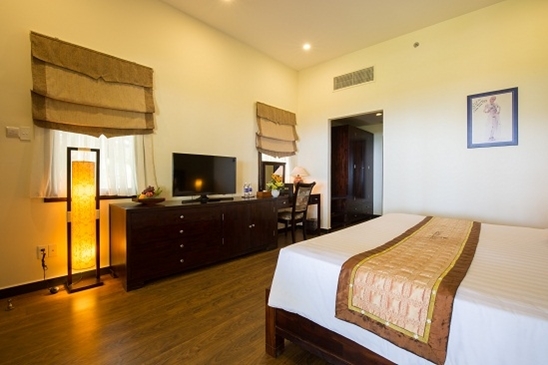 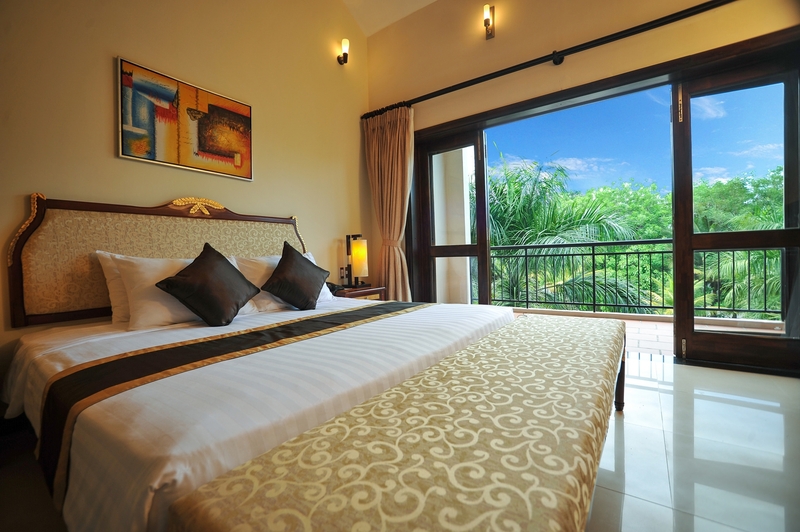 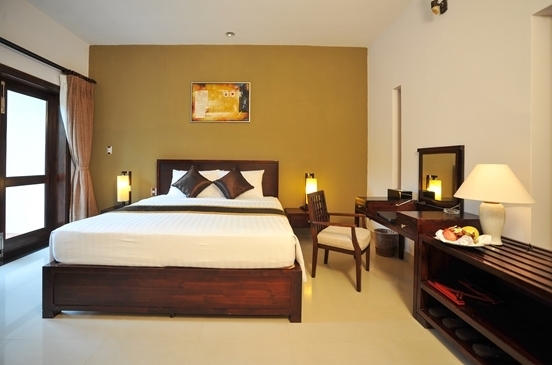 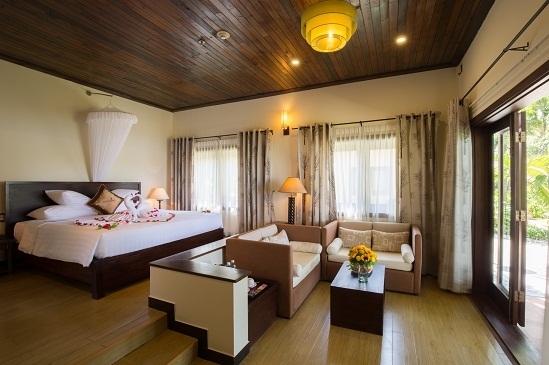 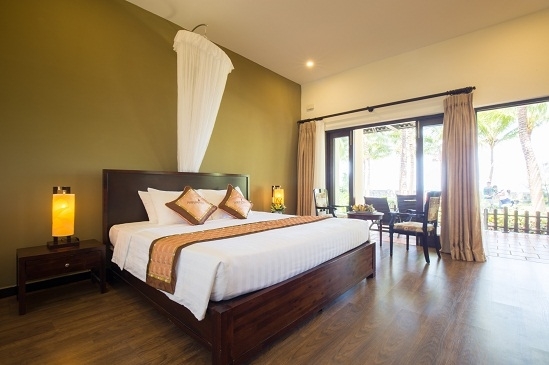 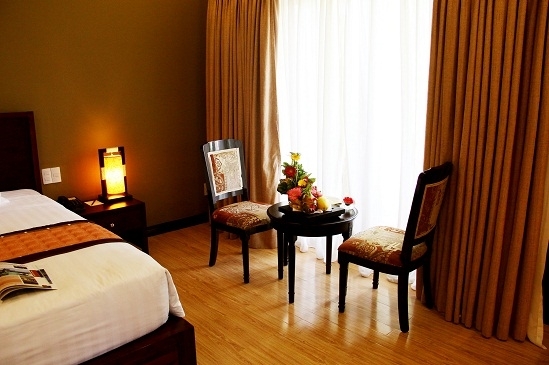 Garden Superior rooms are amongst tropical fragrant colourful hibiscus. 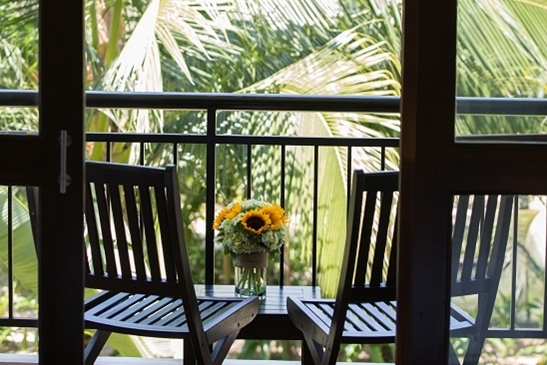 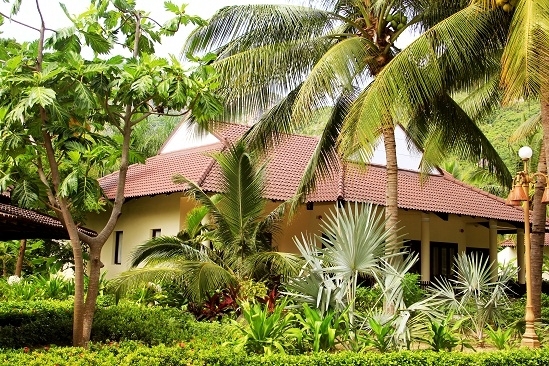 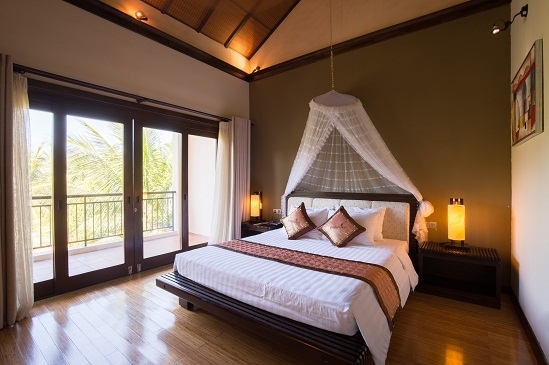 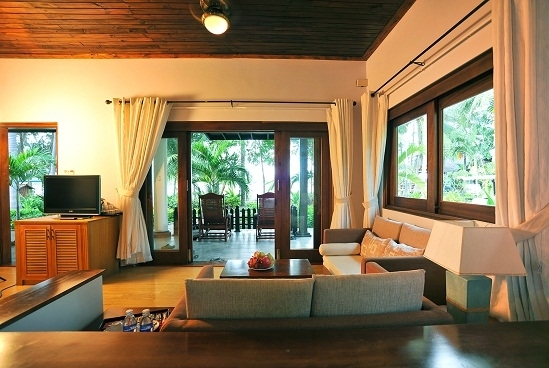 Relax on your private balcony or take a short walking under the shadow of coconut trees. All garden superior rooms are spacious and offer the full range of standard features and services at an affordable price. 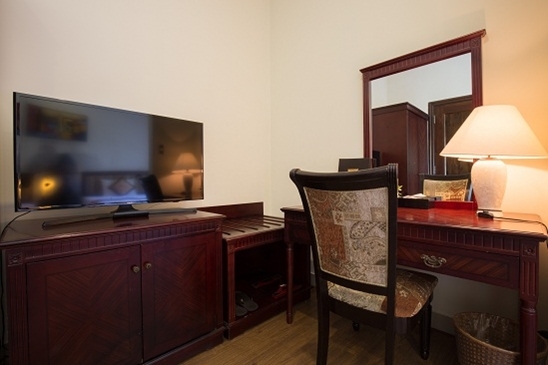 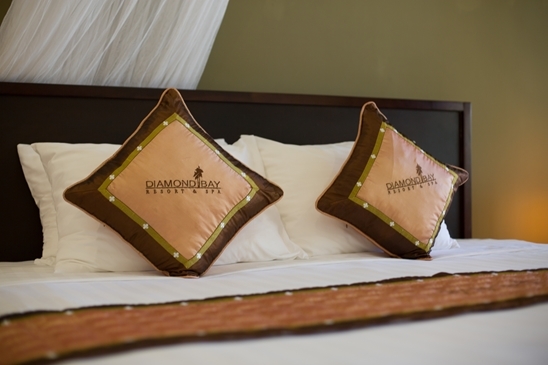 Rooms have interconnecting doors, allow family groups or friends to stay close during their Diamond holiday. 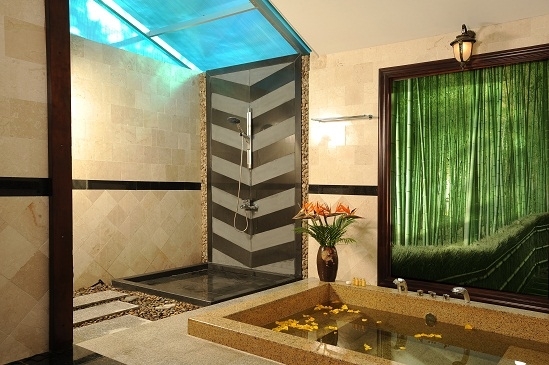 A suite fit for a king and queen. 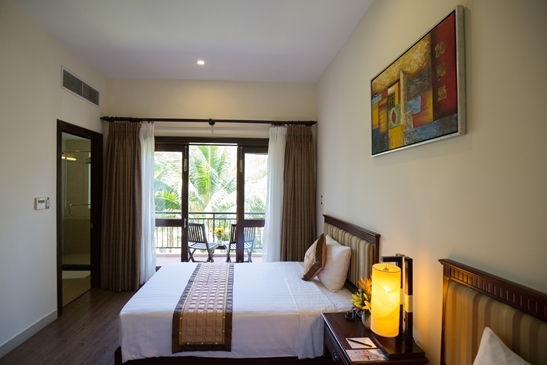 Each Suite is enormous as 87m2, the largest room in the resort with beautiful mountain or garden view. 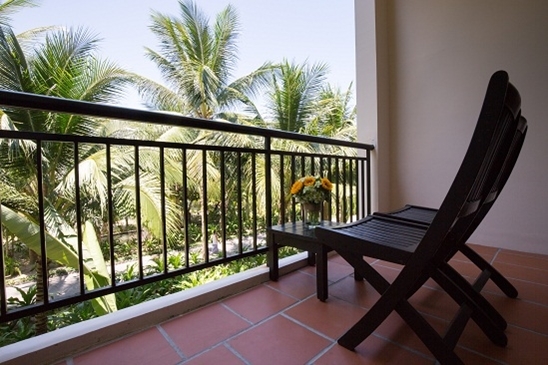 Designed in modern Vietnamese style with a large balcony. 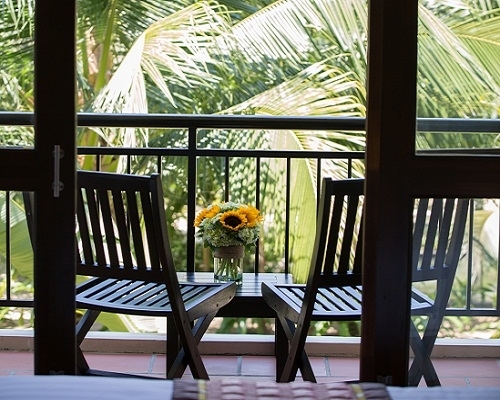 From the balcony, you can see the beauty of pristine green hills or green gardens. 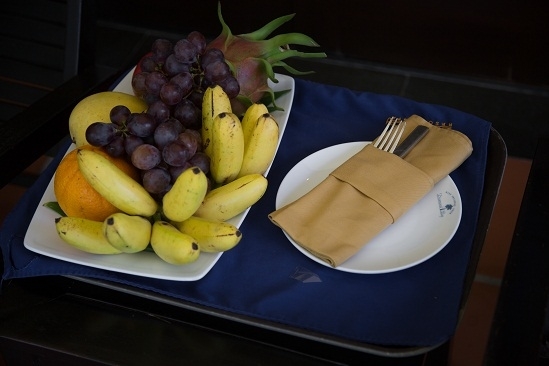 Treat yourself to one of our best! 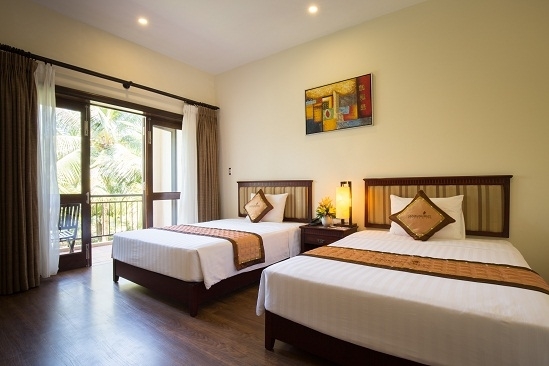 Junior Suites are so spacious at 75m2, designed in a modern Vietnamese style with a large balcony upon a beautiful mountain or garden view. 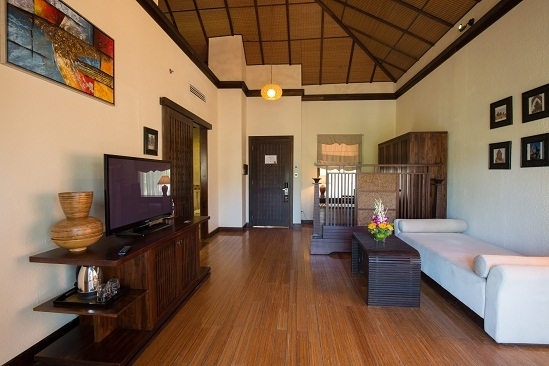 As true to its name, this room was built and arranged in the green campus with tropical plants such as coconut, banana leaf, areca, bamboo ... 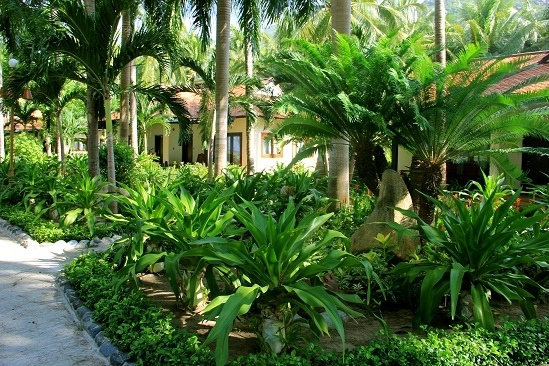 In the garden, flowers are blooming every morning. If you're ones who love a peaceful place in a rural location, Diamond Garden Bungalow is a great choice for you. 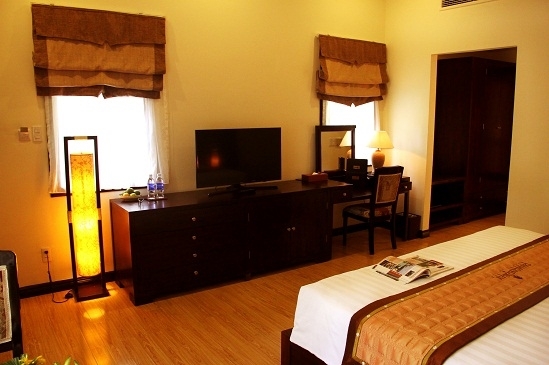 Diamond Bungalow room furniture is a harmonious combination between the East and the West. 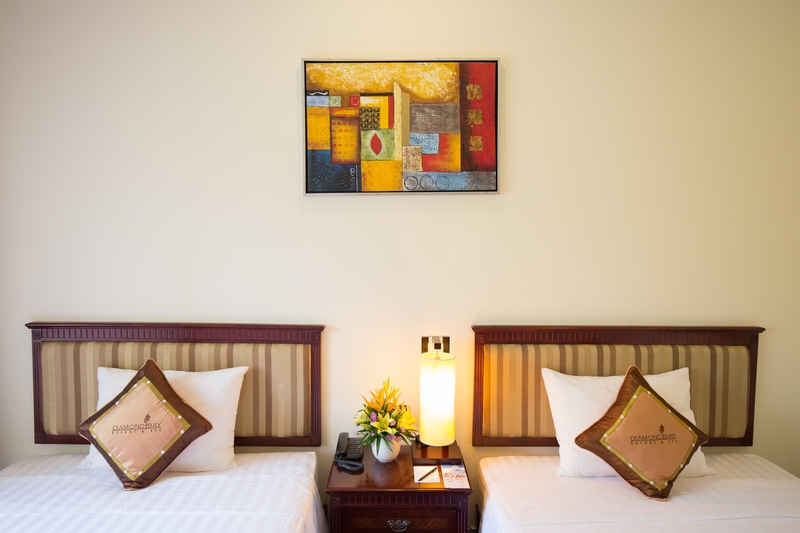 Therefore, no matter what country tourists come from, they will also feel like being home. 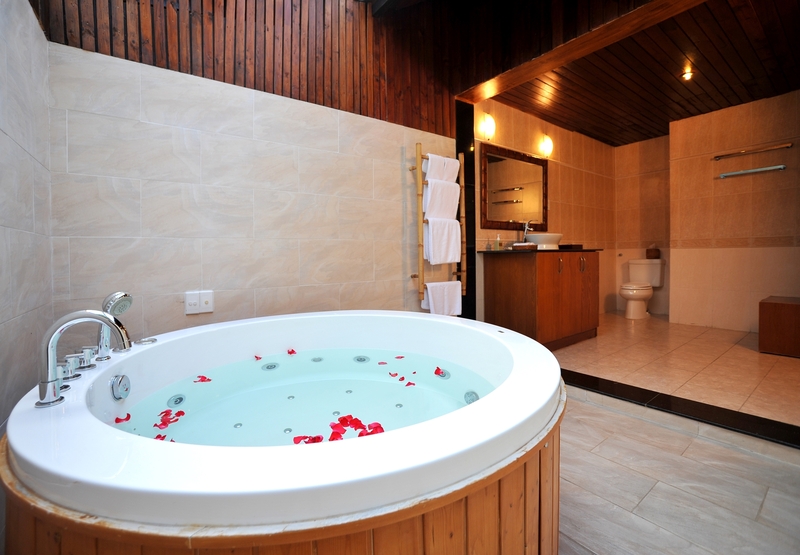 Special highlights of all Bungalows is that bathrooms are spacious and designed in open space to make guests feel most relaxed. 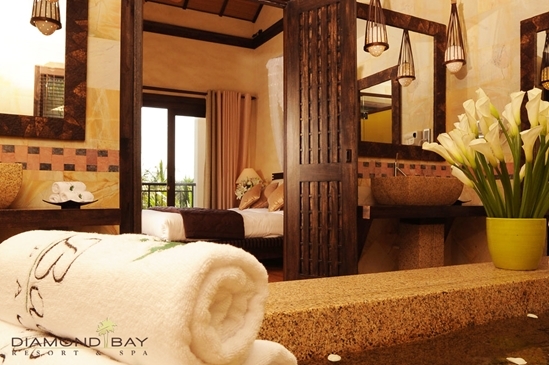 This can be considered the most beautiful room of Diamond Bay Resort & Spa when building right next to the beach with design oriented to the comfort, the luxury and the cozy. 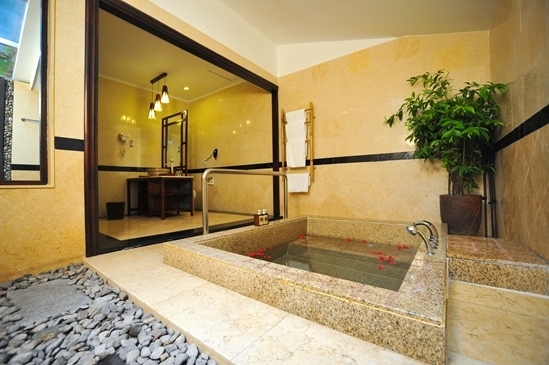 Diamond Bungalow Jacuzzi room furniture is a harmonious combination between the East and the West. 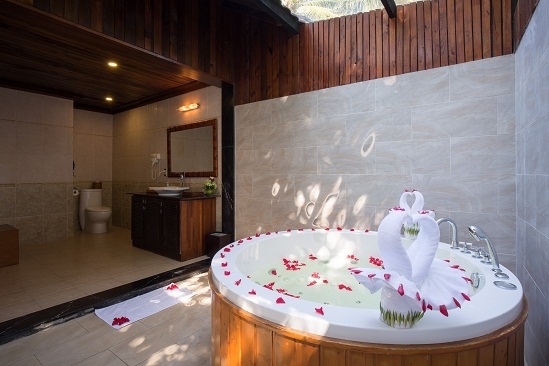 When staying at Diamond Jacuzzi Bungalow, you just open the door and can be able to feel the breath of the tropical ocean, whispering voice of waves, birds chirping and was overwhelmed by the beauty that combined between majestic mountains and vast blue sea. 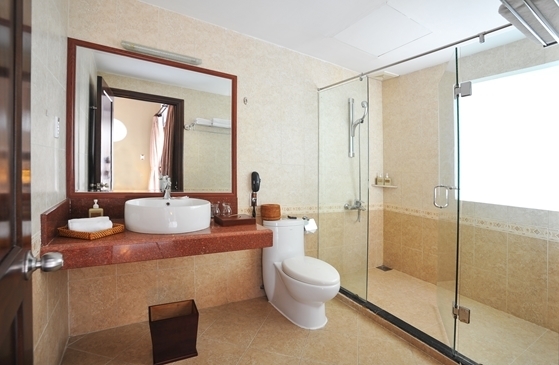 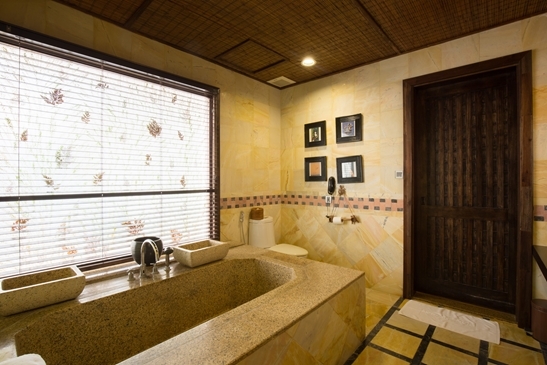 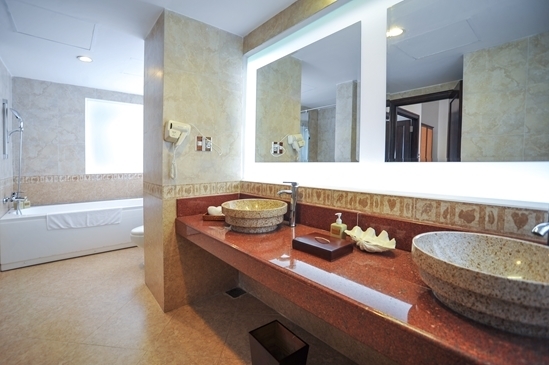 Special highlights of all Bungalows is that bathrooms are spacious and designed with Jacuzzi in open spaces to make guests feel most comfortable. 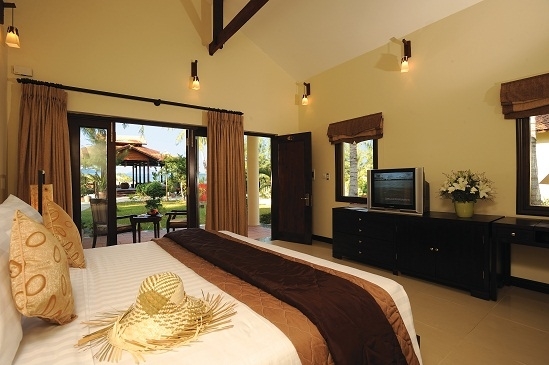 Diamond Ocean Bungalow was built, arranged immediately next to the coast of Diamond Bay Resort & Spa. When opening the door at every early morning, you can see the full panoramic view of mountains and sea. Special highlights of all the Bungalow rooms are that bathrooms designed with a bathtub in open space to make guests feel the most relaxation.